...... Mice scamper about the stable, candlelight flickers in the city, and the guiding star shines brilliantly above. Soothing music completes the scene - an original a cappella version of Silent Night. A pay-for enhanced version of the screensaver includes three animated scenes. 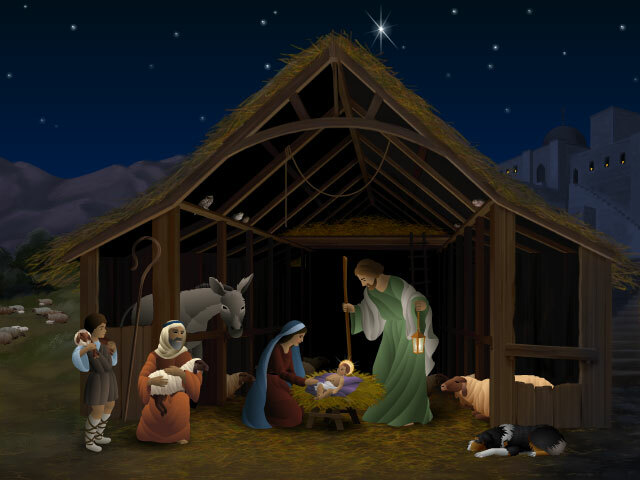 The Holy Family is visited by shepherds, the Magi, and an Angel, while two additional songs (What Child is This?, Dona Nobis Pacem) play to celebrate the joy of the season. Qweas is providing links to First Christmas Screensaver 1.3 as a courtesy, and makes no representations regarding First Christmas Screensaver or any other applications or any information related thereto. Any questions, complaints or claims regarding this application First Christmas Screensaver 1.3 must be directed to the appropriate software vendor. You may click the publisher link of First Christmas Screensaver on the top of this page to get more details about the vendor.